There are over half a million large animal/car collisions each year. A significant number of these accidents involve fatalities – both animal and human – and most involve major vehicle damage. While these incidents are typically covered by comprehensive auto insurance, the best option is to avoid the accident altogether. Here are tips to prevent an animal/car collision, plus the appropriate steps to take if you encounter Bambi, Smokey, or one of their pals. Be alert during peak times: Deer in particular, but other large animals as well, are generally active shortly before and after sunrise and from sunset to midnight. Remain alert for animal crossings during these hours. Wait for the others: Bears often come with cubs, and deer rarely run around alone. If you catch sight of one animal in your headlights, there may be others nearby. Proceed with caution. Use lights, not devices: High-beam headlights can illuminate animals’ eyes, but devices such as deer whistles and reflectors have not been proven effective in preventing collisions. Brake, don’t swerve: A driver’s instinct may be to swerve out of the lane to avoid an animal, possibly putting the driver in the line of opposing traffic, or causing him or her to veer off the road and roll over. Instead, hit the brakes – hard. Contact your insurance carrier: If you are in a collision with a large animal, contact your insurance company to report the accident and begin the claims process as soon as possible. Your agent will help walk you through the appropriate steps to make repairs to your vehicle. “The wearing of the blue?” St. Patrick’s Day on March 17 usually celebrates all things green. But St. Patrick – in whose name we celebrate St. Paddy’s Day – was British. So even though he was credited with introducing Christianity to Ireland in the fifth century, he might well have worn British blue instead of Irish green. Even stranger, St. Patrick was born Maewyn Succat, taking the name Patricius when he became a priest. Imagine if it had been St. Maewyn who chased the snakes into the sea, ridding Ireland of the pests? And what about those snakes? According to fossil experts, there never were snakes in Ireland. And, says Popular Science magazine, there still aren’t. 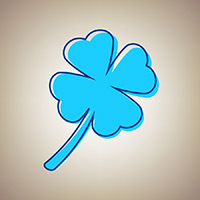 The shamrock worn on St. Patrick’s Day actually is associated with the Saint himself, who allegedly used it as a teaching tool to symbolize the Trinity. But interestingly, it was the Druids who believed the shamrock brought luck by warding off evil spirits. These days, though, March 17 is a great party that celebrates Irish culture with grand parades, Irish dancing, and green everything. In fact, Paddy himself would probably be celebrating the day if he could. 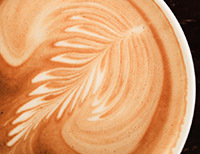 Younger consumers like mobile coffee. Ready-to-drink portable bottles of prepared Frappuccinos and other popular hyper-sweetened coffee beverages are now readily available in convenience stores, meaning fewer trips to coffee hangouts. When they do head to local coffee spots, younger drinkers are looking for something special: presentation. The Instagram generation now loves selfies with coffee and milk served French-style in beautiful café au lait bowls. Nitro coffee – coffee infused with nitrogen gas – is popular thanks to its rich creamy taste, and the new cold brew coffee is an in-demand cold drink that’s stronger, but less bitter. Finally, the interest in gourmet coffee continues, driven by more sophisticated consumers who aren’t interested in the latest trends and still value the taste and the experience of drinking good coffee.